A corporation is a legal entity, having an existence’ separate and distinct from that of its owners. 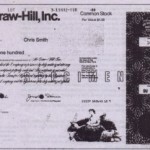 The owners of a corporation are called stockholders (or shareholders), .and their ownership is evidenced by transferable shares of capital stock. 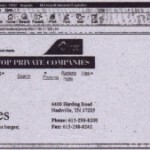 A corporation is more difficult and costly to form than other types of organizations, The corporation must obtain a charter from the state in which it is formed. and it must .receive authorization from that state to issue shares of capital stock. The formation of a corporaries usually requires the services of an attorney. The transferability of corporate ownership, together with professional management, , gives corporations a greater continuity of existence than other forms of organization. Individual stock holders may sell; give, or bequeath their shares to someone -else without disrupting business operations. 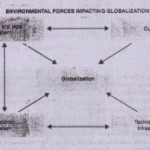 Thus a corporation may continue its business operations indefinitely, without regard to changes in ownership. What happens to income taxes expense when , losses are incurred? In these situations, the company may recognize a negative amount. of income taxes ‘expense. The adjusting entry to record income taxes in an unprofitable accounting period consists of a debit to Income Taxes Payable and a credit to Income Taxes Expense. We have made the point that unincorporated businesses record payments to their owners as drawings, not as salaries. expense. But the owners of a corporation cannot .make withdrawals of corporate assets. Also, many of a corporation’s employees-perhaps thou- sands-may also be stockholders. Therefore, corporations make no distinction between ’employees who are stockholders and those who are not. All salaries paid to employees (including employee/stockholders) are recognized by the corporation as salaries expense. In every form of business organization, there are two basic sources of-owners’ equity: (1) investment by the owners and. (2) earnings from profitable operations. State lawsrequire corporations to distinguish in their balance sheets between the amounts of equity arising from each source. A dividend is officially declared by the board of directors on one .date, and then is paid (distributed) in the near future. To illustrate, assume that on December I, the directors of Mary’s Cab Co. declare a regular quarterly dividend of 50 cents per shan: on the ]·0,000 shares of outstanding capital stock. The board’s resolution specifies that the dividend will be paid on December 15 to. stockholders of record’ on December 10.
appear in the company’s year-end balance s~eet. I. Services rendered to the business. 2. Capital invested in the business. Remember also that stockholders do not report their respective shares of the corporate net income in their personal income tax returns. However, they must pay personal income taxes on the amount of any dividends received. creditors may require one or more of the company’s stockholders to personally guaran- . 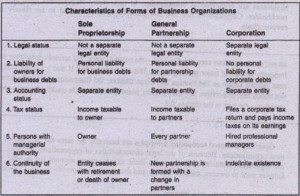 tee (or co-sign) specific’ debts of the business entity. By co-signing debts of the corporation, the individual stockholders do become personally liable for the debts if the corporation fails to make payment. creditors may require one or more of the company’s stockholders to personally guarantee (or co-sign) specific’ debts of the business entity. By co-signing debts of the corporation, the individual stockholders do become personally liable for the debts if the corporation fails to make payment. 1. A fixed ratio. The fixed ratio method has already been illustrated in the example of the Blair and Cross partnership, in which profits were shared equally, that is, 50% and 50%. Partners may agree upon any fixed ratio such as 60% and 40%, or 70% and 30%. 2. Salary allowances to the partners, with remaining net income or loss divided in a fixed ratio. 3. Interest allowances on partners’ capital balances, with remaining net income”or loss divided in a fixed ratio. All these methods of sharing partnership net income are intended to recognize differences in the personal services rendered by partners and in the amounts of capital invested in the firm. In the illustrations that follow, it is assumed that beginning balances in the partners’ capital accounts were Brooke Adams, $160,000, and Ben Barnes, $40,000. At year-end, the Income Summary account showed a credit balance of $96,000, representing the net income for “the year. income. The remaining $24,000 is then divided in the agreed-upon fixed ratio (50-50 in this example). ill any ledger account. 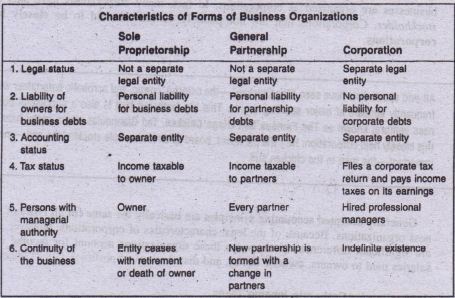 A partner is considered an owner of the business, not an employee. Therefore, the services that a partner renders to the firm are assumed to be rendered in anticipation of earning a share of the profits-not a salary. shall assume a business situation in which the partnerssp end very little time in the business and net income depends primarily on the amount of money invested. The profitsharing plan then might emphasize invested capital as a basis for the first step in allow eating income.